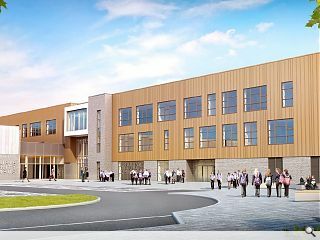 Hub North Scotland have begun preparatory work at the site of a £55m schools campus in Aberdeenshire designed by Halliday Fraser Munro. 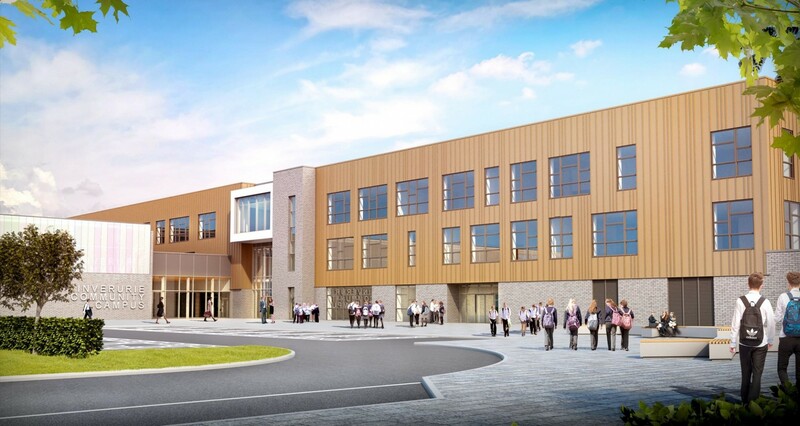 Inverurie Community Campus has been commissioned by Aberdeenshire Council and will be delivered by Robertson Construction, replacing the existing Inverurie Academy with a 1,600-place campus. 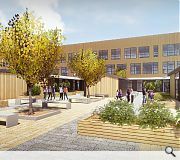 When complete the community campus will offer a six-lane pool, café and sports facilities alongside new accommodation for St Andrews Special School. 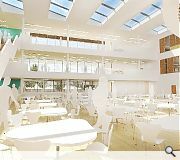 Classrooms will be arranged around a shared social space, split between a dining hall, performance space and amphitheatre. 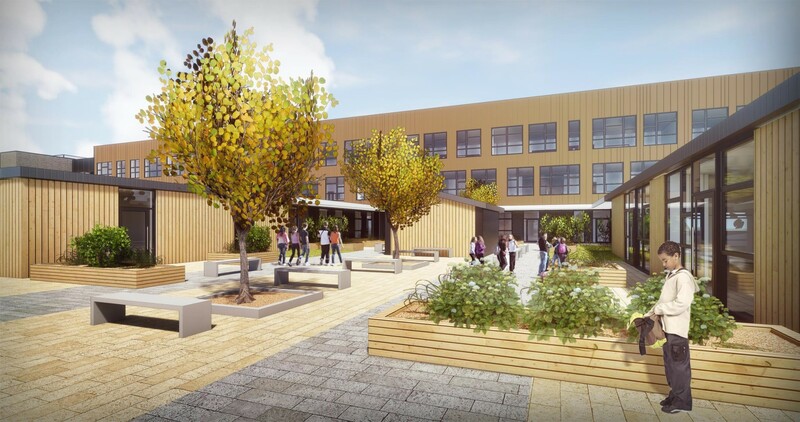 In a statement the architects wrote: “The proposed strategy is to have brick to the ground floor and stair cores as per the original proposal but with a simple standing seam effect cladding to the upper two floors of the teaching block. A first phase of the new campus is expected to be ready for occupation by 2020. 80% of your time will be spent in the interiors, yet all the money is spent on the exterior!! Maybe some inside out design, instead of outside in?? Sorry Elmo but that simply isn't the case.